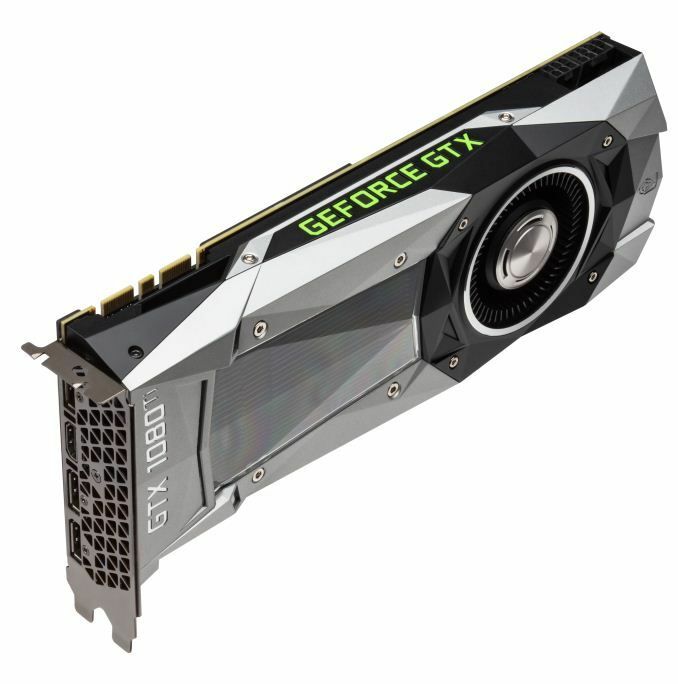 NVIDIA has officially launched its new high-end graphics card, the GeForce GTX 1080 Ti. This GTX 1080 Ti is based on the Pascal GP102 GPU like the GTX Titan X. 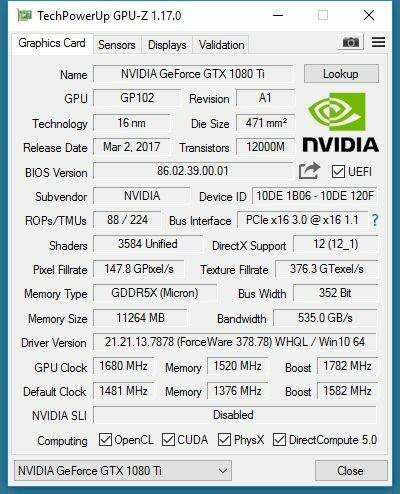 The GTX 1080 Ti is very similar to the GTX Titan X: same number of CUDA cores (3584), same number of texture units (224), same TDP (250W). But the GTX 1080 Ti comes with less ROPs (88 –GTX Titan X: 96), less graphics memory (11GB –GTX Titan X: 12GB) and a narrower memory buy width: 352-bit (GTX Titan X: 384-bit). But GPU core clocks are higher (base: 1481 MHz and boost: 1582 MHz) and above all, the GTX 1080 Ti is cheaper for more or less the same performances: USD $699 against $1200 for the GTX Titan X. The GTX 1080 Ti is the fastest gaming graphics card on the market: faster than the GTX Titan X Pascal and around 35% faster than the GTX 1080.